The fog of war just got a little bit foggier. 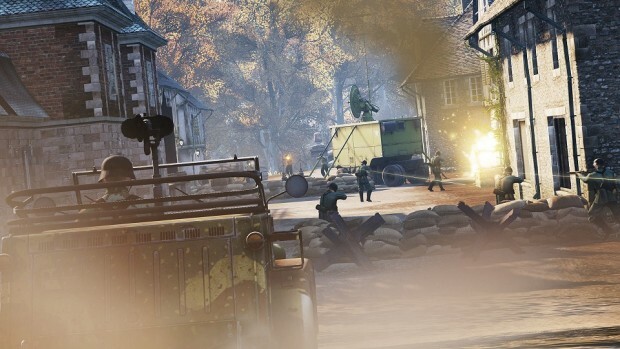 Reto-Moto’s World War II shooter Heroes & Generals just got a new map, and with it new weather effects and a bunch of shiny new paint jobs for helmets. Fancy hats? Why hasn’t a F2P game ever come up with that idea? The Colmar Hamlet map is intended for both new and veteran players and requires both sides to carefully traverse the fields and forests around a village before meeting in the middle and engaging in a dogfight to the death — or at least to the respawn. Five new weather settings are also in play, providing 12 different combinations of time and visibility, adding more variety (and prettiness) to battles. For fashionable soldiers and tankers, there are 42 new helmet camouflage options and 14 new vehicle paint jobs. If those, or other goodies, strike your fancy, take advantage of the game’s winter sale, with 50% off all weapons and equipment and 25% off all ammo until Jan. 3. The full patch notes for this update can be found on the Heroes & Generals site.